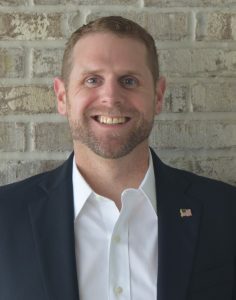 Henrietta, NY—The Lewis family of companies announced in April that it has hired Josh Connell as Vice President Operations of Wilderness USA. With a Certified Six Sigma Black Belt in operations process excellence, Connell will lead a focused effort to heighten safety and operations excellence as part of the company’s ongoing commitment to provide world-class service to its expanding customer base. Connell has significant experience in the railroad sector. He most recently served as Vice President of Industrial Switching, Coastal Region, with Genesee & Wyoming, Inc., where he previously served as General Manager, Puget Sound & Pacific Railway and Director of Safety. Prior to G&W, Connell served in a variety of growing leadership roles at CSX from Trainmaster to Operations Manager and Manager of Safety and Operating Practices. The Company also announced that former President of Wilderness, Rob Brewer, stepped down earlier this year to pursue other opportunities. During that transition, Walter Dodge was named interim Vice President of the Canadian company, Wilderness Environmental Services.